Took part in this morning’s Walk With Compassion charity walk to end child poverty. 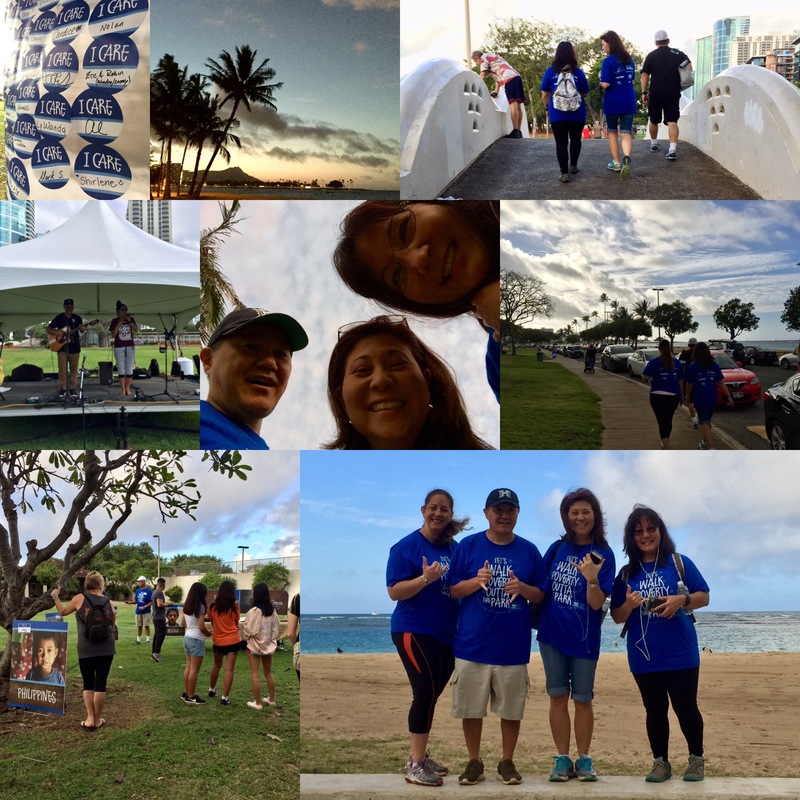 The event was held @ Ala Moana Beach Park. It was a beautiful morning! There were 6 educational stations along the route around the park. There were also food booths, children’s activities, entertainment, and fellowship. It was an awesome day. I believe that sponsoring a child through Compassion International is the most important thing that I do. Compassion is one organization that I will always wholeheartedly support. I first learned about the Walk With Compassion event while serving at the MercyMe concert in November. Met a lotta good people there, including the event organizer. Monies raised from the walk will provide funding for disaster relief, medical emergencies, care for unsponsored children, clean water, and much, much more. We formed TEAMInspire at the Arise Conference last month. My fundraising goal was to rescue one family from abject poverty. Thanks to the generosity of my friends, we were able to rescue two. If you are still interested in making a tax deductible donation, please click on my link, walkwithcompassion.com/participant/alantamayose by June 2nd. Mahalo & God bless.